Who Are The Biggest Manipulators of All? People are justifiably furious over the big banks’ manipulation of hundreds of trillions of dollars of assets. This violates the banks’ most central function: loaning money based upon the going rate. Indeed, the Libor manipulation is so serious that even mainstream economists are starting to call for heads to roll. The Bank of England and Federal Reserve’s encouragement of Libor manipulation is not an isolated incident. Rather than being an aberration, rate manipulation is their central effort. Indeed, the big banks are rank amateurs when it comes to manipulating interest rates. Central banks have been manipulating rates in very substantial ways for a hundred years or more. All central banks, and central bankers, are in the business of setting rates. That’s what they do for a living. That’s why we spend so much time watching them. Surely, the Fed and BoE were unhappy that Libor rates, commercial lending rates, residential mortgage rates and the like were not cooperating with their traditional rate manipulation techniques in the overnight market for unsecured funds. That is why they created a myriad of unusual and exigent programs during the 2008/2009 crisis. But for the senior management of Barclays to come out and claim the Bank of England, or any central banker, was at fault for trying to “manipulate” interest rates is absurd. Congresses and Parliaments have given central banks monopoly power in the printing of money and the management of interest rate policy. Lower interest rates encourage people to spend, not save. The Federal Reserve’s key policy lever is its “Federal Funds Rate”, which is the base interest rate that many other rates (generally including Libor, and see this and this) key off of. The Federal Reserve (or “the Fed”) sets a target for the federal funds rate and maintains that target interest rate by buying and selling U.S. Treasury securities. 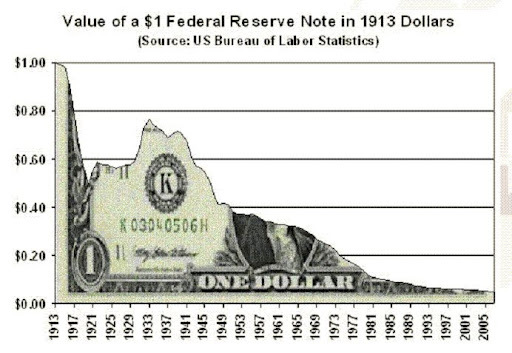 When interest rates are close to zero there is another way of affecting the price of money: Quantitative Easing (QE). The aim is still to bring down interest rates faced by companies and households and the most important step in QE is that the central bank creates new money for use in an economy. Confronted with a stumbling U.S. recovery and a financial crisis in Europe, the Federal Reserve decided Wednesday that it would extend a program known as “Operation Twist” aimed at pushing down long-term interest rates and boosting the economy. US and European regulators are essentially forcing banks to buy up their own government’s debt—a move that could end up making the debt crisis even worse, a Citigroup analysis says. Regulators are allowing banks to escape counting their country’s debt against capital requirements and loosening other rules to create a steady market for government bonds, the study says. While that helps governments issue more and more debt, the strategy could ultimately explode if the governments are unable to make the bond payments, leaving the banks with billions of toxic debt, says Citigroup strategist Hans Lorenzen. How times change. A year later, the word “repression” is being bandied about at investor conferences across the western world. No wonder. In the eurozone, there are growing signs that governments in places such as Spain and Ireland are “encouraging” – if not forcing – banks and state pension funds to buy public sector bonds, at potentially unfavourable prices. What is crystal clear is that Fed and Treasury officials alike are determined to keep those Treasury yields ultra low, if not negative in real terms, for the foreseeable future. And they may well succeed. (3) moderate long-term interest rates. “Moderating” interest rates means acting on interest rates so that free market forces do not set the rates. In other words, it means manipulating those rates. So one of the Fed’s 3 primary reasons for existence is to manipulate rates. In the Austrian economic view, depressions are caused by big banks (the Fed) artificially lowering interest rates. Hayek won the Nobel prize in 1974 partly for arguing that artificially low interest rates lead to the misallocation of capital and to bubbles, which in turn lead to busts. But its not only Austrians. The central banks’ central bank – the Bank of International Settlements – which is the world’s most prestigious mainstream financial body, has repeatedly said that interest rates which are too low can destroy the economy. White and his team of experts observed the real estate bubble developing in the United States. They criticized the increasingly impenetrable securitization business, vehemently pointed out the perils of risky loans and provided evidence of the lack of credibility of the rating agencies. In their view, the reason for the lack of restraint in the financial markets was that there was simply too much cheap money available on the market. [Low interest rates equal cheap money.] To give all this money somewhere to go, investment bankers invented new financial products that were increasingly sophisticated, imaginative — and hazardous…. “The fundamental cause of today’s emerging problems was excessive and imprudent credit growth over a long period. Policy interest rates in the advanced industrial countries have been unusually low,” [White] said. The Fed and fellow central banks instinctively cut rates lower with each cycle to avoid facing the pain. The effect has been to put off the day of reckoning. “Policymakers interpreted the quiescence in inflation to mean that there was no good reason to raise rates when growth accelerated, and no impediment to lowering them when growth faltered,” said the report. Easy monetary conditions are a classic ingredient of financial crises: low interest rates may contribute to an excessive expansion of credit, and hence to boom-bust type business fluctuations. In addition, some recent papers find a significant link between low interest rates and banks’ risk-taking …. Indeed, BIS documents that interest rates which are too low are a grave risk financial to stability. See this, this and this. The Fed’s low rate policies also reward speculators and punish savers, and quantitative easing helps the big guy at the expense of the little guy. So the Fed – and central banks worldwide – have been manipulating interest rates, and have been doing a horrible job for the economy. Not only have central banks been doing a horrible job of manipulating interest rates themselves, but they have built, propped up and enabled the giant private banks to manipulate the system. The corrupt, giant banks would never have gotten so big and powerful on their own. In a free market, the leaner banks with sounder business models would be growing, while the giants who made reckless speculative gambles would have gone bust. See this, this and this. It is the Federal Reserve, Treasury and Congress who have repeatedly bailed out the big banks, ensured they make money at taxpayer expense, exempted them from standard accounting practices and the criminal and fraud laws which govern the little guy, encouraged insane amounts of leverage, and enabled the too big to fail banks – through “moral hazard” – to become even more reckless. And given that the 12 Federal Reserve banks are private – see this, this, this and this– the giant banks have a huge amount of influence on what the Fed does. Indeed, the money-center banks in New York control the New York Fed, the most powerful Fed bank. Indeed, Jamie Dimon – the head of JP Morgan Chase – is a Director of the New York Fed. Any attempt by the left to say that the free market is all bad and the government is all good is naive and counter-productive. And any attempt by the right to say that we should leave the giant banks alone because that’s the free market are wrong. The [corrupt, captured government “regulators”] and the giant banks are part of a single malignant, symbiotic relationship. Central banks have done nothing to countermand the trend (nothing but encourage) leading to big banks getting bigger; so big, in fact, that now all of the big banks around the world are all too-big-to-fail. The bigger the world’s banks are (bankers want size, because more size equals more power to price, to manipulate markets, and to pay bigger bonuses) the more important central banks become, both to the big banks, nations, and the global economy. Central banks are the saviors of big banks that get in trouble, especially when economies and systems are leveraged for profits that backfire and they all have to be bailed out. Central banks are supposed to be above what’s going on below their ivory towers, but, in fact, they are the puppets being manipulated by the big banks. It’s a case of the tail wagging the dog. Why are central banks pouring money into banks, really? Why aren’t governments printing money to pour into ailing economies but aiding and abetting central banks instead? It’s because central banks are independent supra-national bodies who have been ceded monetary power by governments almost everywhere to benefit banks and bankers the world over, who are their only constituents, and for all intents and purposes, effectively “own” legislators and governments. They’re pouring money into banks to keep them solvent. That’s what central banks are there for. The banks aren’t lending the money (massive reserves are sitting on balance sheets to shore up appearances) because they need it to meet reserve requirements and offset the illiquidity evident in the interbank lending market…the same interbank (Libor) market that the Bank of England wanted to make look more liquid than it was viscous back in 2008. We need to break up all the world’s big banks so they can fail when they overleverage themselves, and entire systems, nations, economies and the global economy aren’t all brought to their knees. If we break up all the too-big-to-fail banks we won’t need central banks. We can go back to what are supposed to be free markets dictating interest rates and creating honest, open economies and opportunities everywhere. While central banks’ too-low interest rates have led to an unstable economy, at least – one would hope – they’ve helped the consumer in other ways. We’re suffering more or less depression-level unemployment. And I’m not sure the Fed has been doing a great job of stabilizing prices, either. The Fed has also failed at its self-proclaimed counter-cyclical role of “taking the punch bowl away” when the party gets too wild. Central banks like the Fed are also rotten with corruption and conflicts of interest. And see this. No wonder Nobel prize winning economists think that central banks should be abolished or drastically downsized … just like the giant banks.